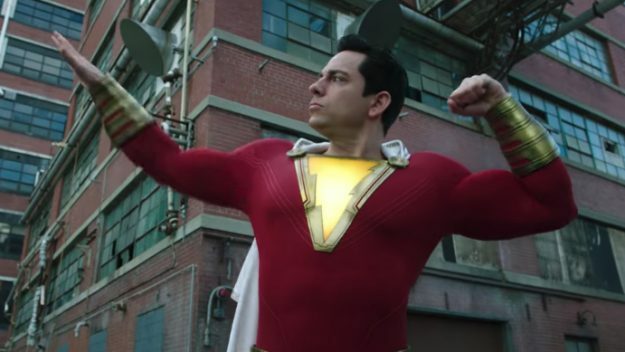 Not content to wait and see how Shazam does over the long haul after a better-than-expected box office debut, Warner Bros. is already moving forward on a sequel. The Wrap reports Henry Gayden has been rehired to write the superhero sequel's script. There isn't much in the way of details at this early stage, including whether director David F. Sandberg will return. He and producer Peter Safran are expected back, although deals are not currently in place. While the article doesn't explicitly state it, Zachary Levi is sure to return as Shazam, the superhero who is really the teenaged Billy Batson, gifted extraordinary powers by a wizard. Asher Angel, Jack Dylan Grazer, and other actors playing members of the Marvel Family will probably come back, too. Just yesterday Dwayne Johnson was singing Shazam's praises and teasing a start date for Black Adam, in which he plays Shazam's nemesis. Good chance we'll see Black Adam show up in any Shazam sequels, perhaps making it a full crossover.